Registration is one of the key areas on which the success of a conferences hinges upon. There are various components of this assignment - whether it be the first mail that informs the delegate about the event, or the information collected (the online form) or the ease of payment for registering. The most critical part of this process is the onsite registration of the event - when all the delegates arrive at pretty much the same time, and we develop efficient systems to minimize wait and maximize efficiency. 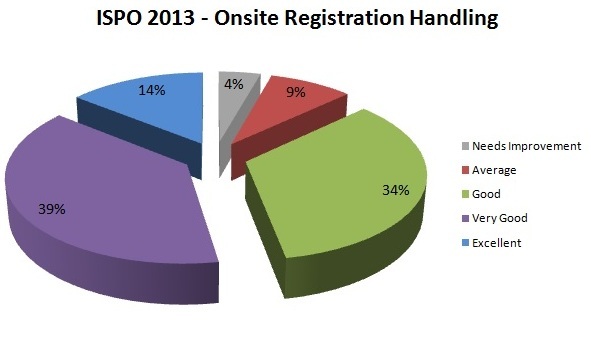 At the recently concluded ISPO 2013 World Congress, we at KW Conferences culled the feedback from over 500 delegates and are extremely happy to observe that nearly 87% of our guests thought that the registration process ranked between good to excellent.